Indivisible Door County has created a Task Force to consider the issue of taxation as it affects the citizens of Door County, Wisconsin and the Nation as a whole. What is fair taxation? 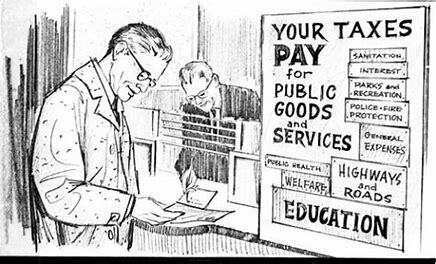 Are Progressive Tax Rates a good idea? How do we finance the Common Good? What have been historical tax rates locally and nationally and how do we compare currently? Is a 70% Marginal Tax Rate really “Radical”? What is a wealth tax is it a good idea and what is it intended to accomplish? These and related issues will be discussed with an eye toward sharing information to the community at large via talks/seminars, Letters to the Editor, demonstrations, etc. The first meeting of this group will be on Tuesday Feb. 5 at 1:15 at the Sister Bay Library. All are welcome.